other information Trend Studios JMB 001, n.d. Recorded in late 1990 through early 1991, according to correspondence with Barry Carroll in February-March 2014, including Barry's memory of recording the album in a rented space during television news coverage of the 1991 Gulf War. The recording location was a house in Dalkey, Co. Dublin, according to e-mail from Barry Carroll 31 March 2014. The album was released in 1992, based on: 1) an e-mail to me from Barry Carroll on 11 February 2014; 2) the review of this album by Nuala O'Connor in her "Traditional" column in the Irish Times of 2 October 1992; and 3) this IRTRAD-L discussion in February 2014. 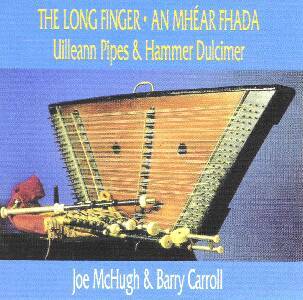 Given that the Irish Times review is quoted within the CD booklet, this CD must have come out after that date. A cassette edition was issued before the CD, probably in 1991, but no later than 21 April 1992, based on both evidence provided in the IRTRAD-L discussion and on Barry's memory in his e-mail to me. My copy may be from late 1992 or from a later CD reissue which came out in 2005. We know about the 2005 reissue from 1) the review published in the Irish American Post in summer 2005, viewed 5 February 2014, and 2) Barry Carroll's e-mail to me on 11 February 2014, reporting that "Joe had it re-pressed in 2005." Not indexed here: 1st tune on track 9 (Marchu Entranzado).